The European Commission is calling for “new solutions” to address complaints from Google's rivals that its online search advertising is anti-competitive. Despite the EC agreeing to new commitments from Google in February, EU competition commissioner Joaquin Almunia has called for fresh concessions on how Google displays search results. The EC started an investigation into Google’s business practices in November 2010, but took until March 2013 to notify Google about concerns that it had abused its dominance of the search market. The EC ordered Google to address these concerns by proposing a set of legally binding rules to make search advertising fairer for competitors. Since April 2013, Google has submitted three sets of proposals to comply with EU competition rules, but Almunia is yet to agree to a final set of proposals to conclude the matter. In February 2014, Google agreed to give equal prominence to rival services in its search results, and Almunia had said he expected to finalise the matter by 31 October. But he has now called for fresh concessions to address new arguments from Google’s rivals and threatened to open an investigation into Google’s Android mobile operating system, according to the BBC. "We need to analyse this and to see if Google can find solutions to some of these concerns that we consider justified," he said in a US television interview. In the February proposals, Google said it would reserve space near the top of its European search pages for competitors that would be open for bids through an auction. But rivals said this auction could generate an extra income of more than €300m for Google and called for the firm to commit to using the same search algorithm for all sites, including its own. Google said it continued to work with the commission to resolve the matter, but the firm’s executive chairman, Eric Schmidt, has argued against the principle of a single search algorithm. 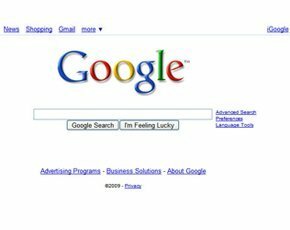 Quoting Almunia in a blog post, Schmidt said imposing strict equal treatment could mean returning to Google displaying only 10 undifferentiated search results. Schmidt also denied that Google is promoting its own products at the expense of the competition. “We show the results at the top that answer the user’s queries directly,” he wrote. Market commentators say this latest move makes it unlikely that a deal will be agreed before Almunia leaves office as competition commissioner at the end of October. If Google fails to reach an agreement, it could face a heavy fine of up to 10% of its annual sales, which could be over $5bn based on Google’s figures for 2013. But the investigation could carry over to the next commission, to be headed by Jean-Claude Junker, and a new competition commissioner.